This is a 2.5 Lb. 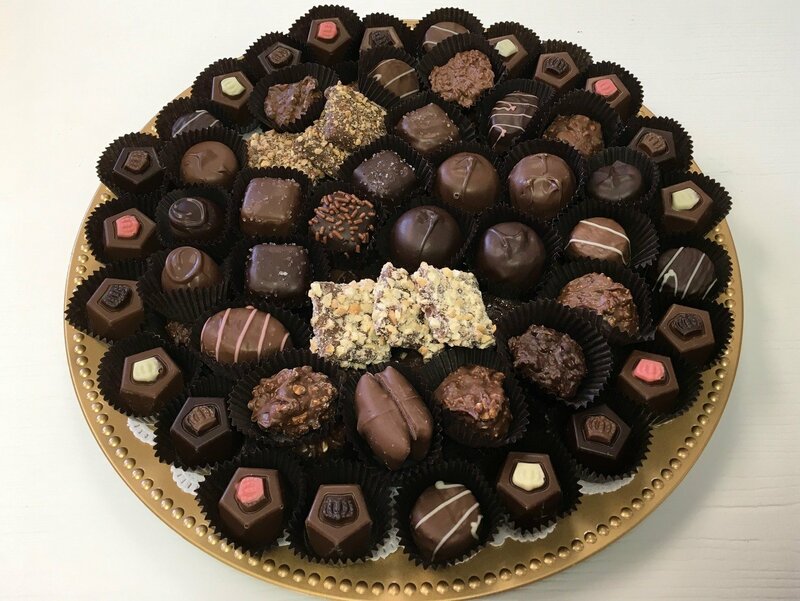 Assorted Chocolate Tray with the Best of the Best of Carella's Chocolates. We make tray of all sizes and Chocolates. Call us if there is something special you would like. Pretzel Trays also Available. Great for Parties, Events, Social Gatherings and even as a Sympathy Gift. Chocolate is Comforting!